Thank You Eric Howk and Portugal. The Man! It's been about a year since Eric Howk of Portugal. 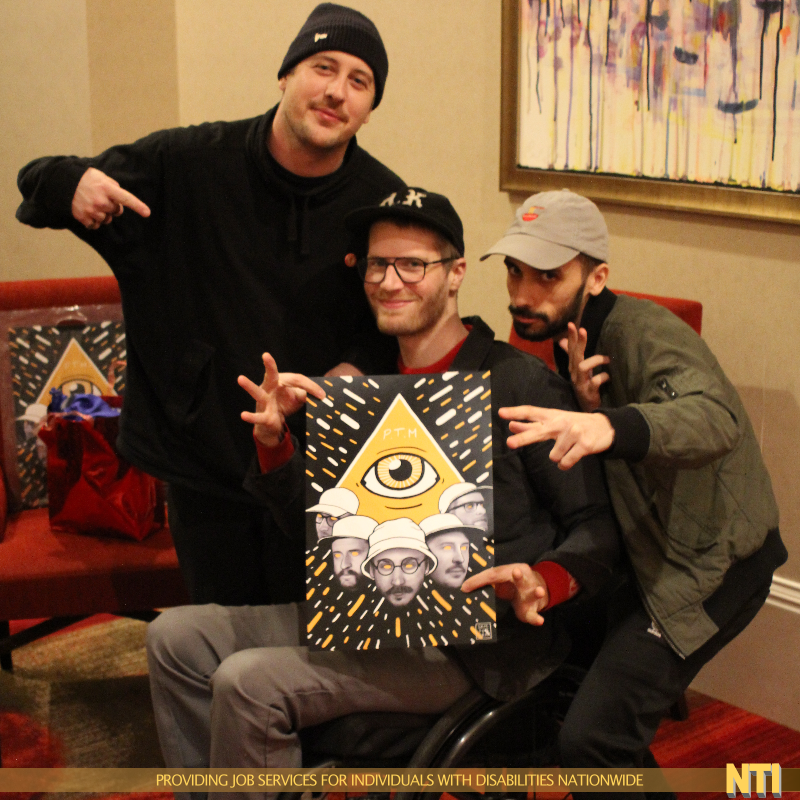 The Man recorded a Public Service Announcement for NTI to help individuals with disabilities and Disabled Veterans get back into the workplace (http://portugaltheman.nticentral.org). Since, then radio stations across the country have been playing his message. In fact, over 400 stations and over 3 million people have heard his message making people aware of our non-profit. We wanted to extend our appreciation to the members of the band by giving them a few thank you gifts. The night started with a cordial video interview with Eric Howk and Zach Carothers. We discussed a wide array of topics ranging from their album, the tour, accessibility, inclusion, as well as how Portugal. The Man leverages their platform to promote social justice. 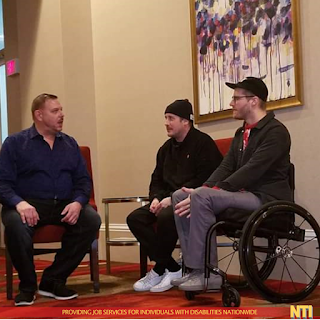 Ironically, we had to conduct the interview at the hotel as opposed to the venue considering the 100 year old establishment was not wheelchair accessible. It didn't put a crimp in the interview as Eric, Zach, and NTI's Director of Marketing Mike Sanders talked for about 30 minutes. At the end of the interview, we gave Zach and Eric some gifts from NTI. The first gift was a hand drawn lithograph of the band members by NTI's graphic designer, Damian Santamaria. The print had elements from the Evil Friends album including all current band members. 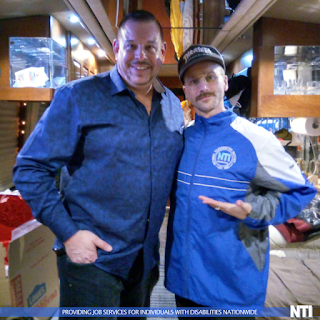 The second gift was a NTI vintage logo courtside windbreaker given to all members of the band. 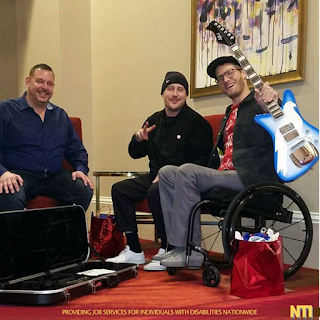 As a final gift, NTI teamed up with Philip Smith of Goldfinch Guitars in Philadelphia (https://goldfinchguitars.com) to create a one of a kind blueburst guitar with a custom Hawk pickguard for Eric. Philip, Creative Director Noel Headley-Noble, and Mike Sanders of NTI painstakingly designed every aspect of the guitar based upon Eric's personality and style. 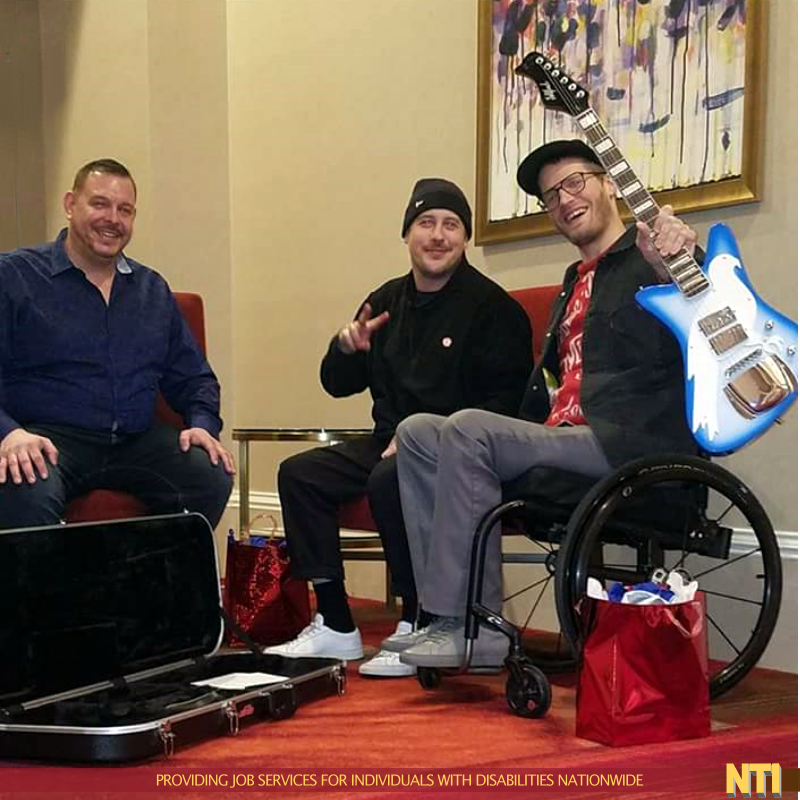 The Philip graciously donated the Goldfinch guitar to help promote Eric and NTI's work with helping individuals with disabilities nationwide. Eric was surprised at the gesture, as Zach immediately took it out of his hands to give it a try. Zach stated, "let's get this over to our guitar tech to see if we can get it set up!" We soon left for the venue with our #LiveIntheMoment contest winner, Nina McCarthy to be greeted by the opening act Twin Peaks. Soon enough, Portugal. The Man came on the stage with a traditional opening of Metallica's, Master of Puppets. Soon hits from their previous successes were played along with the songs off of their Double Platinum album, Woodstock; including Grammy Award Winning, Feel it Still and their latest release, Live in The Moment. 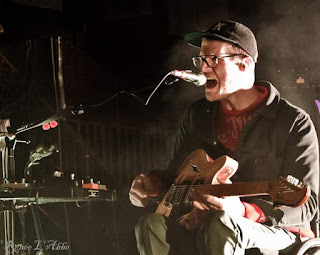 When they come to your town, it is a show that you shouldn't miss. After the show, Eric and Zach came and rustled us up to introduce NTI to the other members of the band as well as give our thank you gifts. Lead singer, John Gourley immediately put on his jacket and said, "How did you know our style?" It was a great moment and we hope to continue spreading the word. As an end note, as soon as we finish editing the video now and will post! Thank you again Portugal. The Man for making helping spread the word about NTI and making the lives of others better.